CD reviews: "Lux Vivens: The Music of Hildegard von Bingen," "Sun Machine," "My Big Hero," "Smile's OK" and "Still I Can't Be Still"
These reviews first appeared in the March 27, 1999 edition of the American Reporter. There is, in the end, simply no accounting for taste. Nor the lack of it. Each of the five discs here was found in the giveaway bin at the daily newspaper where I work as an online news editor. Each of them had, in theory, been looked at, listened to, and ultimately rejected as unworthy of review. But on arriving home, each of these albums has found a semi-permanent home in the 24-disc CD player. While the styles range from Medieval revival to avant-pop to dance-hall, there is a common thread running through these disparate releases: All are built around distinctive, powerful vocals by young women singers. The Jocelyn Montgomery set, "Lux Vivens," is yet another interpretation of the suddenly popular German nun Hildegard von Bingen, dead these many centuries. But this interpretation is different from others in that producer David Lynch (yes, the same David Lynch that makes those off-center films) has provided a minimalist background that is nontraditional in instrumentation (ambient nature  waves, birds  and electronic) while still providing a perfect canvas for Montgomery's pure voice. The result is an approach that bridges von Bingen's time and our own, one that is accessibly modern and also steeped in history. Composer and vocalist Morley Kamen reminds a bit of Sade in her ability to create an indelibly individual sound, a sound that transcends technique in its artistry and style. Her highly structured stylizations seem more choreographed than scored. While her music is accessible and pop-oriented, it also hearkens to the salon tradition of Edith Piaf or a Portuguese fado. There are dark moods running throughout here, a hint of mystery and intrigue, of hidden emotional undercurrents. 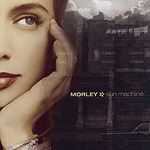 Combine that with Morley's rich, resonant vocals, and you have something worth multiple listens. If Montgomery and Morley have voices that are almost heartbreaking in their classical beauty, Claudia Sarne of 12 Rounds creates allure through the rough-hewn imperfection of her vocals. It's a tough path, but not unheard of  Billie Holiday and Marlene Dietrich rode the same route to some success. 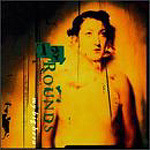 The music of 12 Rounds has a tough edge to it, a buzz-saw of electronica and guitars and hard rock beats. As with Morley, the sound of 12 Rounds is derived not only from the vocals and compositions, but from the multi-layered arrangements that create texture and a sense of aural substance. Sarne and musical partner Atticus Ross have created a rich, dark mood on "My Big Hero," one that reminds a bit of '80s alternative pioneers Cocteau Twins. There's a bit more of an edge here, a touch more rock attitude and muscle, but the same dreamy sort of modern urban nightmare sound. Idina Menzel is the most likely of the artists reviewed here to break through to the Top 40. Deftly combining alternative sounds with funk, Latin and hip hop, Menzel has created a radio-friendly sound that begs to be danced to. Not that she's some lightweight, either in talent or topic. Her voice is supple and sweet, but with enough of a tigress' growl to get your attention whenever she wants. And her songwriting tackles some heavy subjects: mental illness, sexual awakening, romantic betrayal. And like all the releases here excepting Montgomery's covers of von Bingen, Menzel has created a wall of sound in her arrangements: It's fun just to listen to, providing sensual relief every bit as pleasing as a rich chocolate torte. Louise Rutkowski you have to figure is no stage name. But a voice built for stage? You bet. 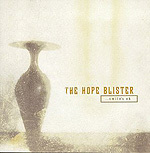 As the front person for producer Ivo Watts-Russell's latest project, The Hope Blister, Rutkowski brings a distinctive, ethereal presence to the music that serves as anchor for everything else. In the same whispy, artistic vein as 12 Rounds, the arrangements on "Smile's OK" aren't nearly as dark. More introspective, more contemplative. More melodic, even. The songs are covers, taken from writes like Brian Eno ("Spider and I") and John Cale ("Hanky Panky Nohow"). Given the undercurrents rippling throughout, you wouldn't call this album relaxed, but the pace is definitely slow, almost becalmed. There are so many layers here, so many things going on, that if you put this disc on as background music while you're making spaghetti you're really cheating yourself. This is the kind of disc to help remind you what it was like the first time you really ever listened to music and tried to hear all that was happening.